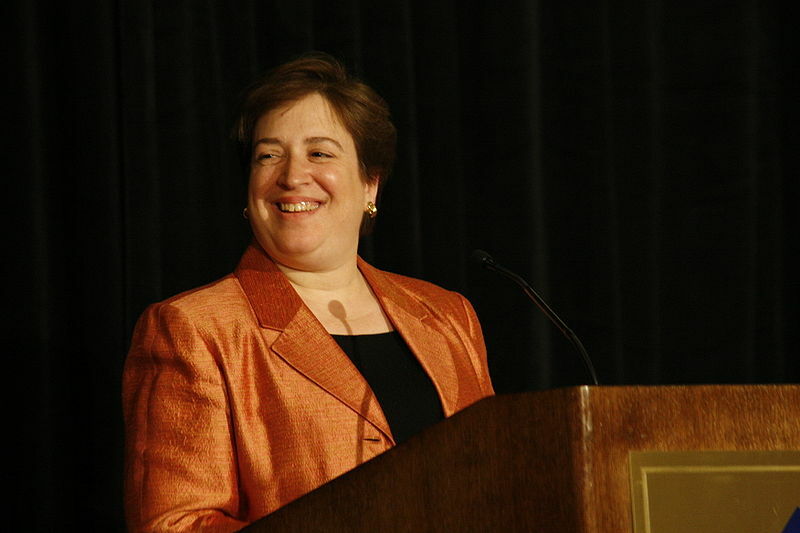 WASHINGTON (AP) – President Barack Obama nominated Solicitor General Elena Kagan to the Supreme Court on Monday, declaring the former Harvard Law School dean “one of the nation’s foremost legal minds.” She would be the court’s youngest justice and give it three female members for the first time. The nomination to replace liberal retiring Justice John Paul Stevens set the stage for a potentially bruising summertime confirmation battle before the court begins its next session, though mathematically Democrats should be able to prevail in the end. At 50, Kagan is relatively young for the lifetime post and could help shape the high court’s decisions for decades. If confirmed by the Senate, she would become only the fourth female justice in history. Republicans are expected to criticize her for attempting to bar military recruiters from the Harvard Law campus while she was dean. That issue was used against her by critics during her confirmation hearing last year for her current post. On the topic of abortion, The Associated Press reported on Monday afternoon that Kagan, acting as a White House adviser in 1997, urged then-President Bill Clinton to support a ban on late-term procedures. Documents reviewed by AP show Kagan encouraging Clinton to support a compromise bill that would have banned all abortions of viable fetuses except when the health of the mother was at risk. The documents from Clinton’s presidential library are among the first to surface in which Kagan discusses the thorny issue of abortion. The proposal was a compromise by Democratic Sen. Tom Daschle. Clinton supported it, despite opposition from pro-abortion rights groups. The compromise failed and Clinton vetoed a stricter Republican ban. Democratic officials said Kagan would begin making the rounds of senators’ offices on Wednesday. With control of 59 votes in the Senate, Democrats should be able to win confirmation. However, if all 41 Republicans vote together, they could delay a vote with a filibuster. Republicans have shown no signs in advance that they would try to prevent a vote on Kagan, but they are certain to grill her in confirmation hearings over her experience, her thin record of legal writings and her decisions at Harvard. The senator who will preside over her confirmation hearing, Democrat Patrick Leahy of Vermont, said, “The Senate should confirm Ms. Kagan before” Labor Day. “Our constituents deserve a civil and thoughtful debate on this nomination, followed by an up-or-down vote,” said the chairman of the Senate Judiciary Committee. The Republican Senate leader, Mitch McConnell of Kentucky, said his party would make sure there was a “thorough process, not a rush to judgment” on the nomination.